I found out about Soylent earlier this year, and was immediately intrigued. I’ve realized that I’m actually not that great at feeding myself. That’s a funny thing to say, but I fail to plan meals for a week. I often fall back on a few old recipes, and anything that doesn’t get prepared in the first few days after a grocery trip likely sits in my fridge until it spoils. And when I’m not sure what to make, I end up eating an unhealthy takeout or frozen meal. I know that it’s within my ability to improve at these things, but despite my awareness of this problem and the wasted money, I’ve failed to make any improvements. My current way of eating is a waste of time and food, so something that could end this cycle is appealing. It seems a lot of people struggle with these issues. One solution to this problem is to teach people to purchase and cook healthy food. Another solution might be something like Soylent. Soylent aims to be a meal replacement that is nutritionally complete. Soylent is still under active development, and will continue to be adjusted as people try it and provide more feedback. There is plenty of room for additional research on optimizing nutrition for individuals, and if Soylent plays any role in encouraging additional research and personal experimentation in diet, that would be a benefit overall. Soylent became available for pre-order earlier this year, and I ordered a week’s supply for $85, which breaks down to about $4 per meal. If you subscribe to monthly shipments, the price is more like $3 per meal—cheaper than most takeout. I finally received my order of Soylent v1.1 a little over a week ago. The first order of Soylent comes with a right-sized pitcher and scoop. Soylent comes portioned by the day, so daily food prep involves pouring a packet of Soylent into the pitcher, pouring in the small oil bottle, and filling the pitcher up with water. Very simple steps for a day’s worth of food. The flavor and texture of Soylent are largely unremarkable. The flavor is roughly that of a pastry without sugar, and provides a good base for adding other flavors if you wish. The texture is a bit on the gritty side, but doesn’t get clumpy like a lot of powders can. I don’t mind either of these things. However, I had a few of my friends try Soylent, and opinions varied from tolerable to unappealing. For about four days last week, I consumed only Soylent and coffee. The most striking part about these four days was how unremarkable they were. I found Soylent very satisfying, and I wasn’t hungry in between meals. My energy was steadier throughout the days, especially during the normal post-lunch dip. On Friday evening I ate Mexican, and the flavors really popped, likely a combination of some taste adaptation to Soylent, as well as more conscious attention to my meal. I continued to eat normally over the weekend, but I realized how much of the food I ate made me feel like crap. I found myself craving Soylent. 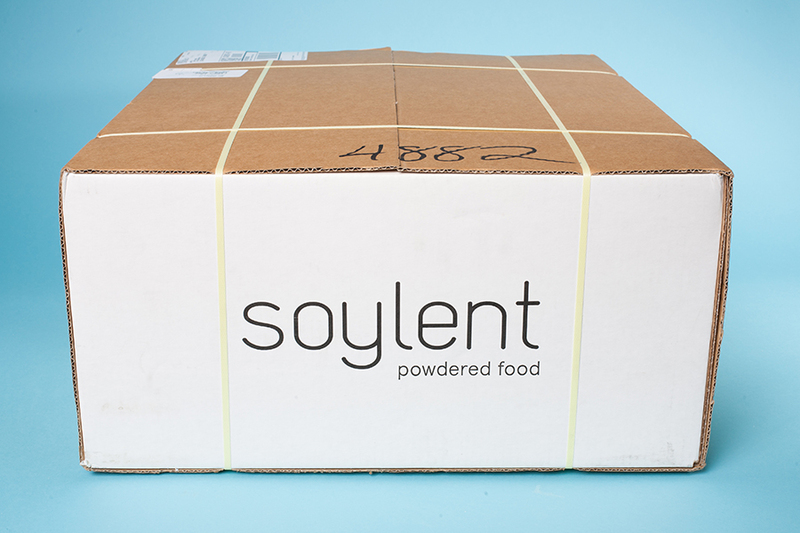 After this personal experiment, I don’t think that I see Soylent completely replacing food. However, Soylent is as easy to prepare as unhealthy convenience foods. And I see a ton of value in making the the easiest option healthier, and providing me the room to eat meals with friends and family when I choose. So while it is certainly not for everyone, I’ve gone ahead and subscribed to monthly deliveries.